Recently at Lincoln Center’s Avery Fisher Hall in New York City, several celebrities gathered for an annual benefit meant to raise money for the Hole in the Wall Gang Camps which were built to provide a camp experience to kids with terminal diseases. Started in 1988 in Ashford, Connecticut by Newman’s Own partners, the writer A.E. Hotchner and the actor Paul Newman, over the years, the camps’ benefit has seen performances from everyone from Kevin Kline to Meryl Streep, Big Bird to Baryshnikov. “What we had in mind was a kind of revue entertainment, using a few of the children along with Hollywood and Broadway stars” said Hotch in his book In Pursuit of the Common Good. Hearing this news, I leapt with excitement. In the past couple weeks, I re-read In Pursuit of the Common Good and Paul & Me, two books penned by fellow St. Louisan, Mr. Hotchner. 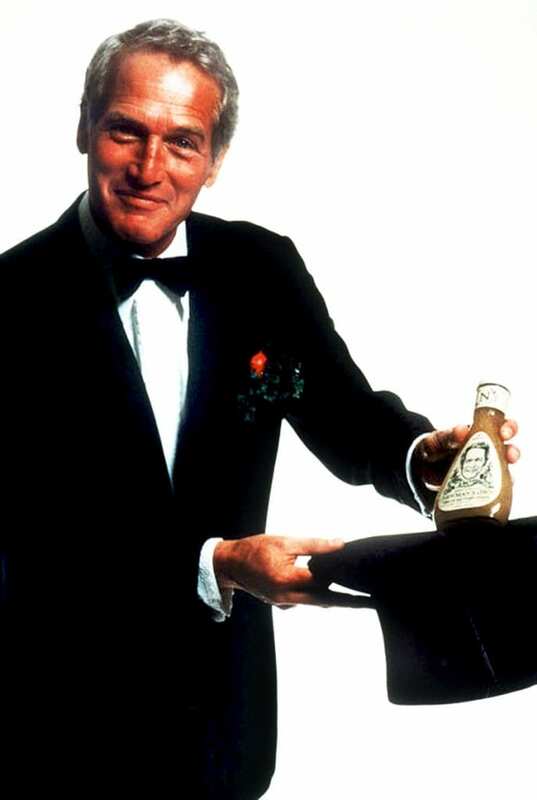 Alongside his pal, Mr. Newman, the two turned a salad dressing they made as Christmas gifts into a multi-million dollar company, Newman’s Own. Rather than pocketing these funds, the founders and now successors of Newman’s Own famously give “all profits to charity.” Reading these books inspired me to write about the direct impact the charitable efforts of Newman’s Own had on my own life, and to explain how I would like to, in some way, give back, too. Brooding. The very word conjures images of ridiculous young men, not unlike myself, pacing back-and-forth in the transom of their minds, saddled with something to prove. There I was, 24 years old, a frustrated acting student at a well-known program in New York City. Sitting in the pitch black of the school’s darkened theater, upset about my poor performance, I slumped in a torn-and-chipped-to-bits back row seat. Petulant, I kicked the back of the chair in front of mine, denting it in the process. My teacher and mentor, standing behind me, gently patted my shoulder with his giant, bear claw of a hand. Leaning in, he whispered, “You know: Paul Newman paid for those chairs.” That last pat on the back landed with an extra bit of weight, quite literally putting me in my place. My heart sunk into my stomach. I didn’t know that. I knew his wife, Joanne Woodward, was a graduate, but I’d forgotten about the couples’ philanthropic efforts. It was then it hit me like a spoonful of Sockarooni Spaghetti Sauce. I was a direct beneficiary of the “All Profits to Charity” salad dressing. Newman’s Own donated money to buy the very chairs in which we sat. Olive oil and red wine vinegar helped to fund my salad days in New York. Those two years were a luxury. Not only did I explore the work of Shakespeare and Tennessee Williams, elocution and the Alexander Technique, I discovered what matters in my life. It sounds corny or cliché, but those years in acting school, spent thinking and creating, helped to boil things down to the essentials. It was in acting school I realized I don’t need much. I’m a lucky guy with some good, creative ideas. While I am still working to find the best place to execute many of those ideas, I’m lucky I had the opportunity to explore for as long as I did in such an inspired environment. With Newman’s Own providing charitable donations to educational organizations like my alma mater, The Neighborhood Playhouse, Newman’s alma mater, Kenyon College, and Hotchner’s alma mater, Washington University, many of us should be thanking them for their generosity in arts education. 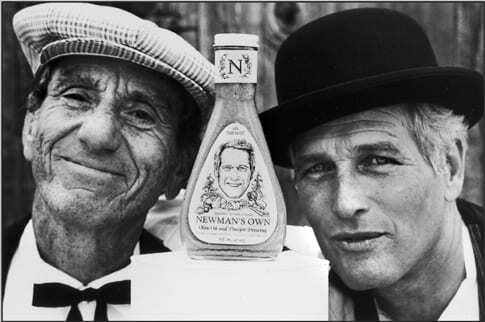 Ten years after the salad dressing launched, Gene Shalit and Paul Newman take a look at new products in the Newman’s Own family, and Paul tells a story about a gambling priest. 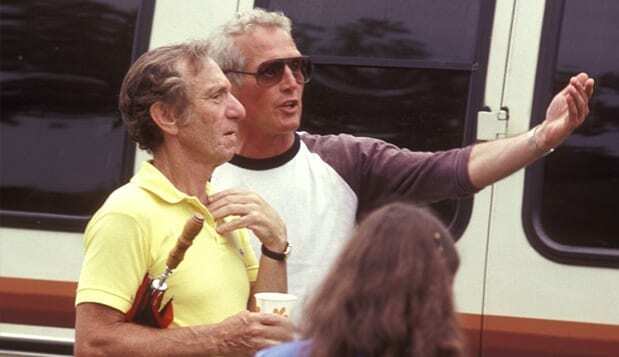 It wasn’t until Mr. Newman’s passing in 2008 that my passion for his story was reignited. It was at that time I first read about the wonderful things Newman’s Own did with their charitable efforts. It was then I learned of the Hole in the Wall Gang Camps. Spurred by my recent re-reading of Hotchner’s books and by reflections on the joys brought by my theater school experiences and by my own summer camp experiences, I realized I’d like to thank Mr. Newman and Mr. Hotchner for their contributions to my education by adding my own ingredients to their salad dressing, so to speak. Joe Gannon and I are hard at work to bring something to our shop, Buckshot Sonny’s, which will directly benefit Serious Fun, the newly renamed organization begun by Newman and Hotch. We chose Serious Fun for its desire to provide happy experiences in the great outdoors to kids who’ve been told they weren’t allowed to go to camp. For more on Serious Fun, please be certain to visit their website. For more on Newman’s Own and the relationship between A.E. 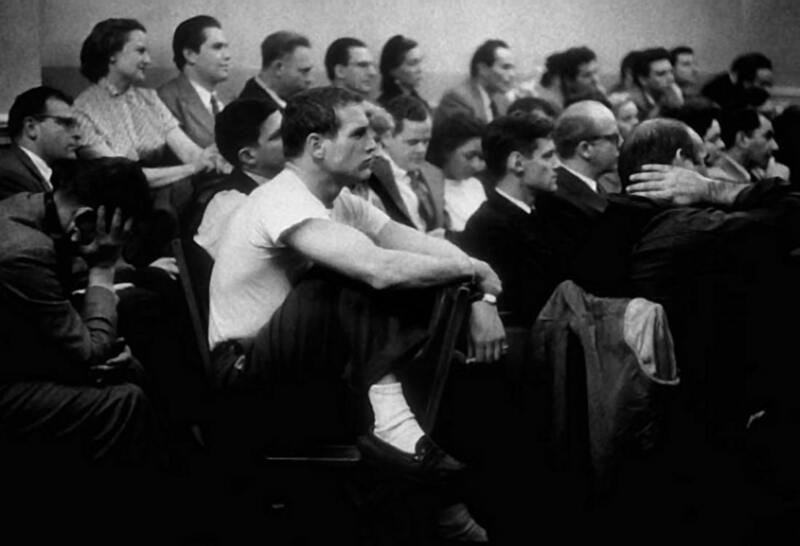 Hotchner and Paul Newman, read the books In Pursuit of the Common Good and Paul & Me. For more on Mr. Beeby’s contribution as an architect, visit this post on Clio’s Calendar which does a nice job explaining the difficult task of designing camp facilities for kids with terminal illnesses. Donna Fenn briefly explains why Newman succeeded as an entrepreneur on Inc. Magazine’s site. Mary Kathryn Paytner recently recounted the love story of Newman and Woodward on Design*Sponge, and here’s the couple on What’s My Line? Watch the first ever episode of Inside the Actor’s Studio, featuring Mr. Newman. And please stay tuned to our shop, Buckshot Sonny’s, where we hope to have some serious fun of our own. Great post Max and well done thinking of creative ways to support Serious Fun. Saw a presentation by Newman’s Own recently and remember one anecdote about a sign hanging in their office – “If we ever have a plan – we’re screwed.” They have given away over $340 million through the years – truly incredible. Passionate philanthropy with clear purpose. Jamie, their office sounds like my office: beach furniture, name plates signifying “Lifeguard on Duty” and “Assistant Lifeguard on Duty,” and those signs. Heaven. I finally got around to reading this whole thing. Very interesting!